This defeat sees Tempo Maguires relegated and the club will play Division 2 Senior football in 2017. 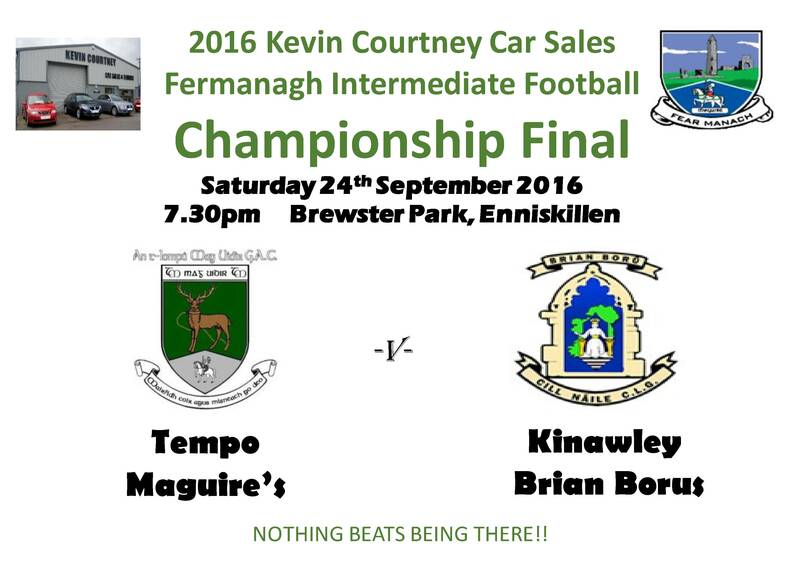 Tempo are aiming to become Fermanagh Intermediate champions for the 4th time in their history when they play Kinawley tomorrow evening in Brewster Park. The 3 previous wins were recorded in 1991, 1996 and again in 2002. And lets hope history repeats itself as the victory in 2002 was against tomorrows rivals Kinawley, the scoreline on this occasion being Tempo 2-9 Kinawley 2-7. This particular competition in Fermanagh had a relatively late introduction to the club calendar, the first staging being in 1962 and with Tempo a senior side for considerable spells it was not unduly surprising that they had to wait sometime to come good in this grade. In 1983 they reached the final but lost to neighbours Brookeborough. In this game with St Josephs, the Ederney team had a whirlwind start with a goal in the opening minute and but for some woeful finishing would have had the tie wrapped up by the end of the 1st quarter. But Tempo at last settled down and a Shane Breen goal on the cusp of halftime had them in a strong position. A 2nd goal ten minutes before full time by Seamus Breen was decisive. Team: Paul Colgan, Martin Breen, Sean Breen, Brendan Fee, Michael Tierney, Donal McShea, Gerry Murphy, Kevin Bogue, Barry McCaffrey, Stephen Bogue, Shane Breen, Barry Fee, Seamus Breen, Peter Bogue. Subs Cormac Rice, Ciaran Campbell. There had been a major revamp of this competition, this season there had been eight clubs competing so it was a significant event. 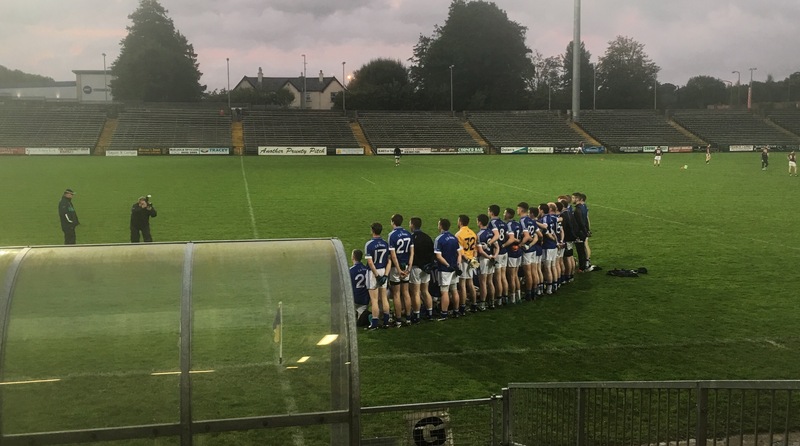 In reaching the final, Tempo had rode their luck with a last minute penalty goal from Brian Jackson earning them a quarter final replay with Derrylin, and in the semi-final they were hard pressed to dispose of Belcoo. Irvinestown understandably came into the contest as favourites and they began in sparkling style. But the snap then went out of their play and Tempo edged a point in front at the turnover. On the resumption it was the Maguires who stepped up the pace and goals from Stephen Owens and Seamus Breen saw them comfortable enough winners. 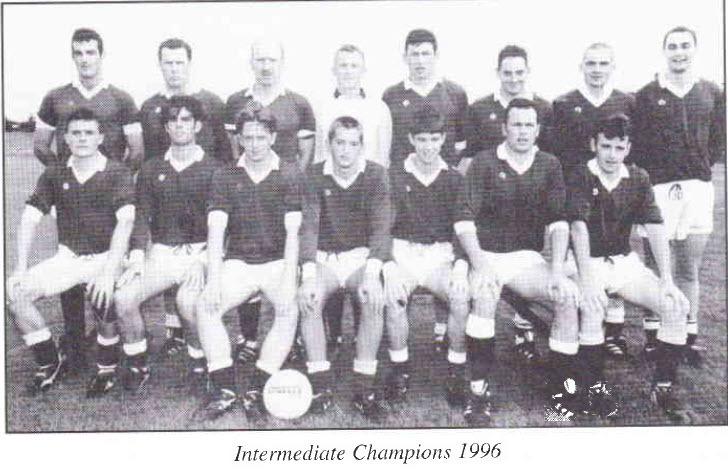 Team: Paul Colgan, Arthur Kildea, Sean Breen, Gerard Cassidy, Thomas Breen, Declan Campbell, James Durnien, Barry McCaffrey, Edwin Breen, Brian Jackson, Damien Breen, Eamonn Rasdale, Stephen Owens, Seamus Breen, Donal McShea. Sub Martin McElroy. This was a close run thing in the end for hard-pressed Tempo, the team just managing to hold on for a slim two point success in a pulsating finish. Playing the better brand of football the Maguires eased themselves into a comprehensive 10 point advantage and were apparently coasting to a facile success. Kinawley who hadn’t been at the races for most of the opening half grabbed a lifeline just prior to the interval when they snapped up a goal. In the 2nd half, after another indifferent spell, they finally upped their game and forged a grand scale revival. A 2nd Kinawley goal made it a far cry from the once comfortable ten point lead but the Maguires hung on in a desperately close finale. Ryan Keenan and Conor Meehan grabbing the two Tempo goals. Team: Gary Howe, Conor Foy, Thomas Dunne, Declan Campbell, John Gilmurray, Damian Kelly, Stephen Cox, Sean Breen, Edwin Breen, Paul McCaffrey, Ciaran McElroy, Conor Meehan, Dermot Curran, Ryan Keenan, Kevin Gilmurray. Sub: Brian Jackson. 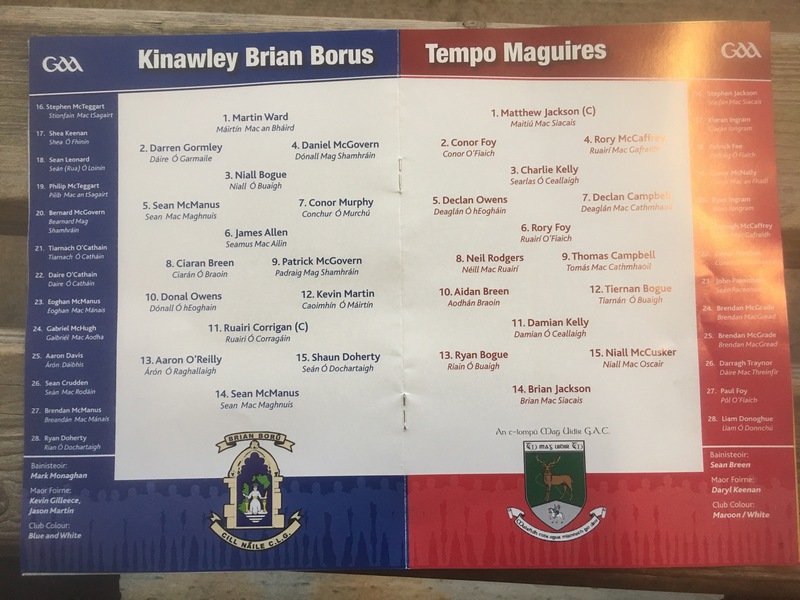 Congratulations to the Tempo Maguires men’s senior team who defeated Maguiresbridge 2-10 to 2-08 tonight in Derrygonnelly with a closely fought, but fully deserved win, to reach the final of the Intermediate Football Championship against the winners of tomorrow’s clash of Lisnaskea & Kinawley, which will be played in Tempo at 6:15pm. The date for the Intermediate Final is Saturday September 24th at 7:30pm in Brewster Park. 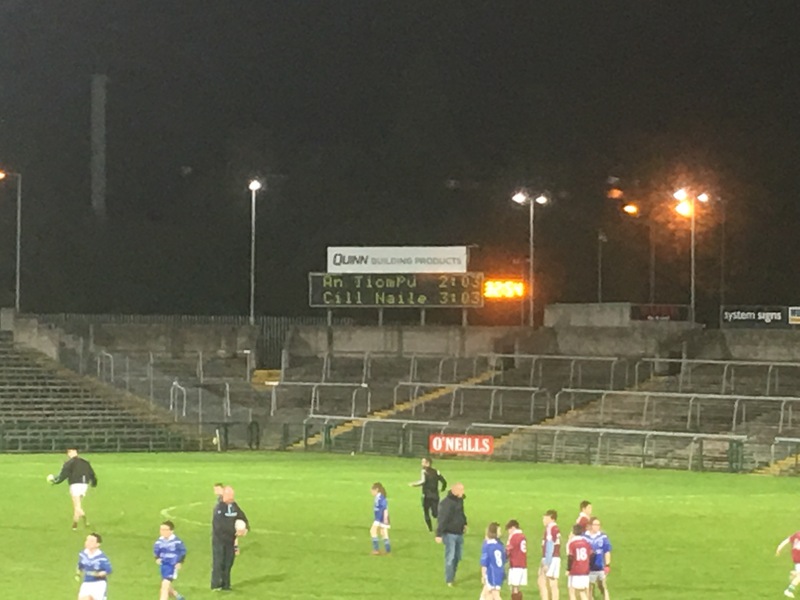 This win also sees the team promoted back to next year’s Senior Football Championship.